Business owners across Alabama can now enjoy the same professional, guaranteed appliance repair service that residential customers in Huntsville have enjoyed for over twenty years. 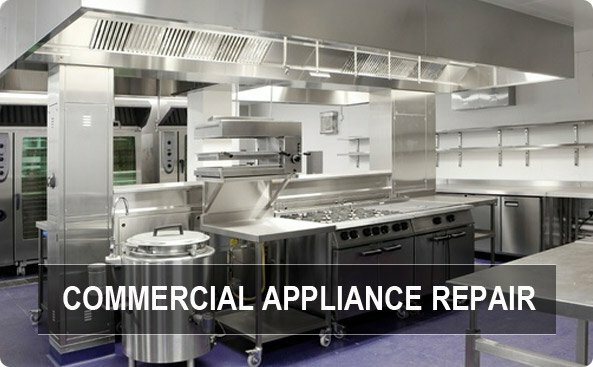 Appliance Masters now offers commercial appliance repair and installation with a dedicated, professional commercial appliance team to quickly and reliably diagnose and repair malfunctioning commercial appliances. When a business’ appliance is not working, the business is losing money. Repairing commercial appliances requires a repair company that understand this, and that also knows how to repair commercial grade appliances. 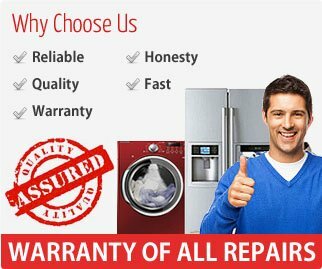 Let Appliance Master’s experience and expertise work for you when you need your commercial appliances repaired in Alabama. The increasingly complex systems that commercial appliances rely on require specialized knowledge and equipment to properly diagnose and repair. If your business is at a standstill because one of your appliances is not working, call Appliance Masters, anywhere in Alabama, and be confident that your situation will be resolved quickly. Appliance Masters is open seven days a week, so call us whenever you need a commercial appliance repaired in Alabama, and we will quickly respond and deliver a solution for your malfunctioning commercial appliance. We have been satisfying customers for over twenty years, and we want to earn your trust, too! If you need a new commercial appliance installed for your Alabama business, you can also trust Appliance Masters to install it correctly, guaranteed. We will protect your investment and be sure that your business is able to take advantage of all the benefits of your investment. 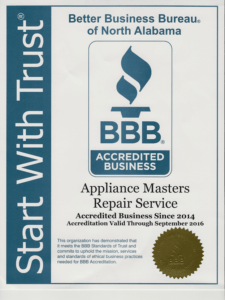 Do not rely on a company that does not have the training or equipment to properly install commercial appliances, call Appliance Masters. One call, from anywhere in Alabama, will bring a professional Appliance Masters service team to your business, to install or repair your commercial appliance.